Some issues such as worn garage door hinges will not halt the operation of the whole system although they can cause great disturbance. Others such as broken springs are urgent and require fast resolution. In such cases, you can use our emergency services with confidence. For dealing with all other problems, you can hire our scheduled services and make an appointment. Our company has long-term experience in providing emergency assistance and has developed a perfect system for the purpose. You will get professional help in the shortest imaginable time. When one of the major components responsible for the operation of the overhead door is broken or simply refuses to work, the unit is completely stuck in place. In case of asnapped garage door cable, for instance, it will not be possible for the unit to be lifted from the closed position or to be closed if it is in the opened position. You must not do anything with the door. Just get in touch with us, at Garage Door Repair Granite Bay. One of our technicians will come to you quickly and resolve the issue straight away. The broken cable will be replaced with a new one that has the same design, make and size as the old one. It will be fitted into place and the door's operation will be tested to confirm that all is fine. Issues with the opener can be equally serious. Even though theoretically the manual operation of the door is possible, it is extremely difficult even for people who are strong and physically fit. That is why it makes sense to get in touch with us right away when you run into trouble with this device. 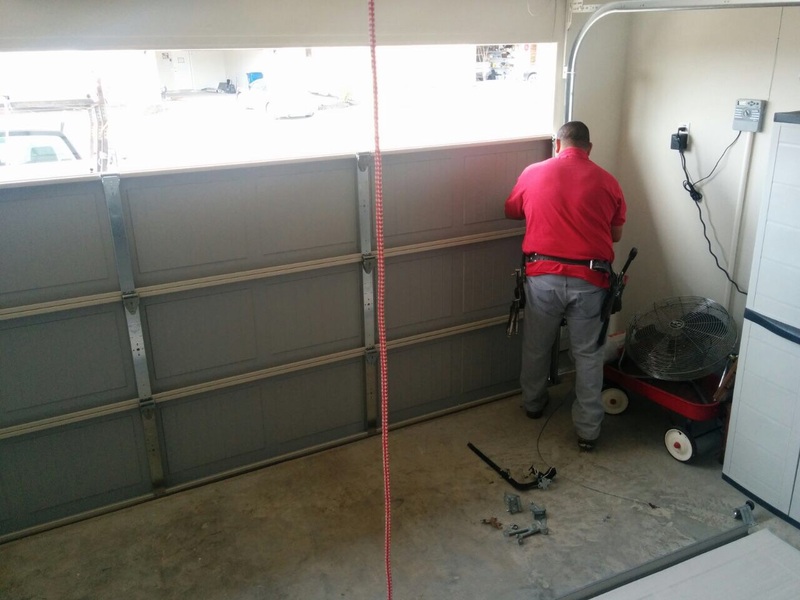 Our garage door opener repair service starts with inspection and testing for identifying the cause of the problem. If there is a faulty component such as a safety sensor, circuit board or motor, it will be replaced in the fastest possible manner. Our service includes adjustment of the travel limits and force when required. It is our commitment to achieve absolute perfection in everything that we do. When the overhead door is accidentally hit, the garage door panels can suffer a great deal of damage along with the rollers and the tracks. Count on us to react quickly and to resolve the problem completely. The panels will be fixed with great care and the track will be straightened while any broken rollers will be replaced with new ones. Our garage door repair techniques are highly effective and implemented with great precision. In case the damage to the panels and tracks is beyond repair, they will be changed as well.